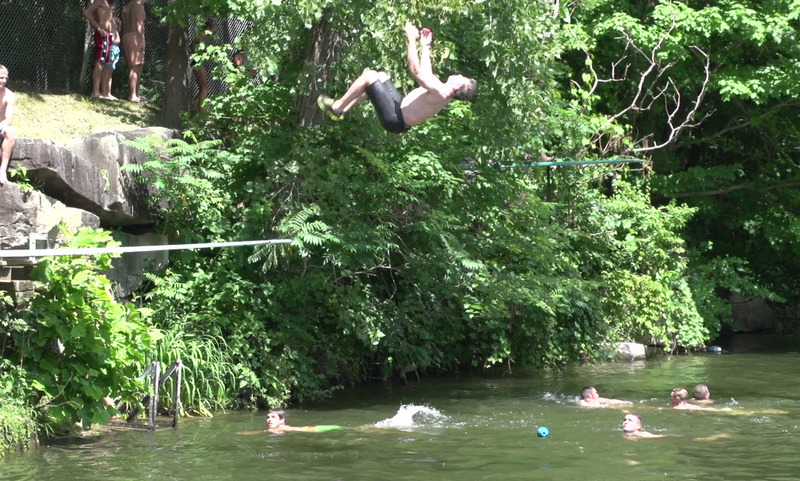 All children under the age of 12 must be accompanied to the Quarry by an adult. All patrons under the age of 16 must pass a swimming ability test to swim in the deep end. An adult must accompany all non-swimming children in the water. Running on the rock is prohibited. Jumping from rocks other than those designated is prohibited. Diving boards are to be used in accordance with the posted rules at the deep end gate. Pets are prohibited on the Quarry grounds. Cigarette/Cigar smoking is permitted only in designated areas. Outside food and beverage are welcome. However, alcohol and glass are prohibited on the Quarry grounds. Fire is only permitted in Quarry grills. The water will be closed during any threatening weather. (Water will re-open 30 minutes after the last thunder and is subject to lifeguard decision. 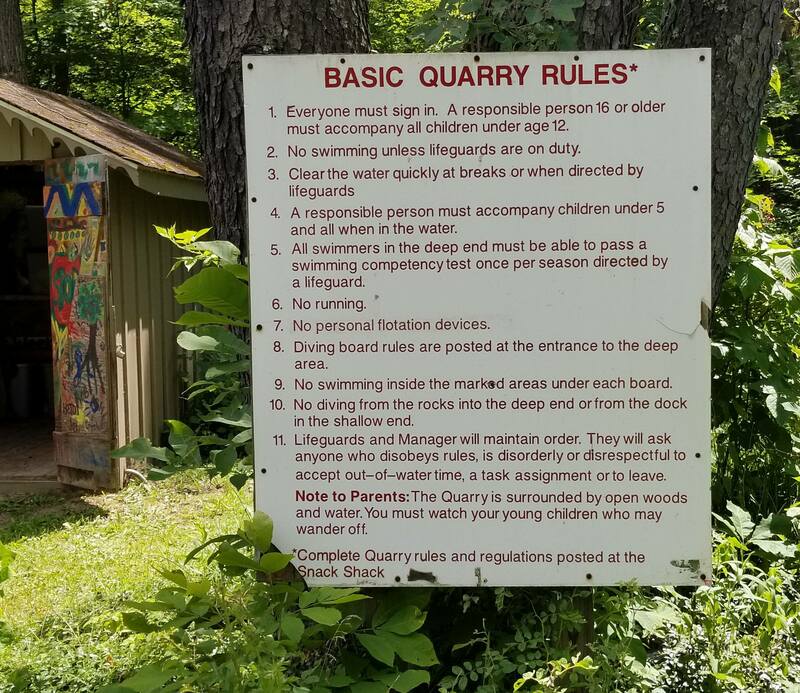 Lifeguards and Management reserve the right to ask patrons to sit out of water, complete work tasks such as scrubbing rocks, or leave the Quarry premises as punishment for rule breaking or unsafe behavior. Lifeguards have the discretion to impose additional rules as necessary to protect the safety of all patrons.